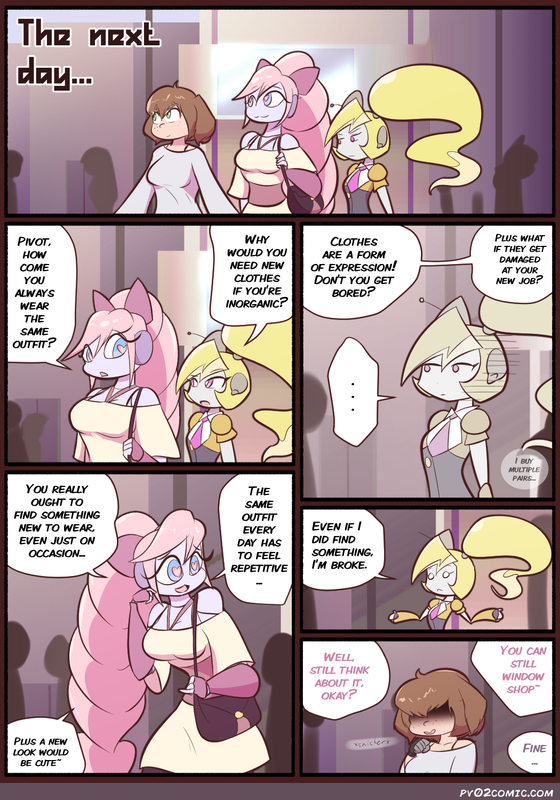 Pivot joins Socket and Collet for some shopping. Collet snickers? Curiosity fills me over whatever could be the why. she might not have to worry about sweat or other issues of organic bodies, but her clothes would still have to put up with accumulated gunk from the air, substances at her workplace, etc. multiple sets of the same thing are fine, but some variety couldn’t hurt.